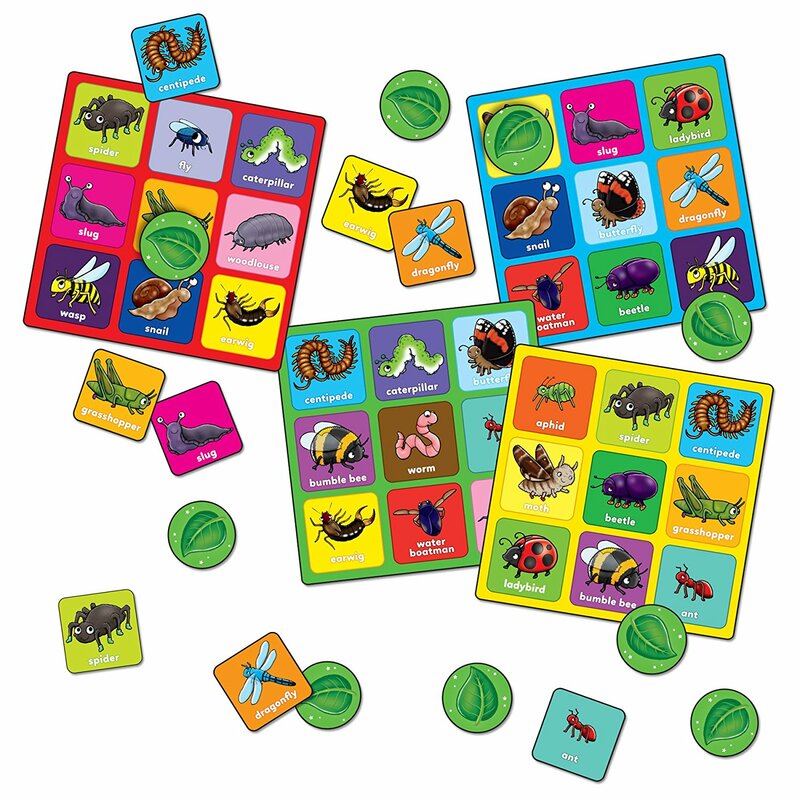 This colourful bingo game features a variety of insects children will enjoy identifying, from familiar bugs like ladybirds and bumblebees to the less familiar water Boatman. The first to fill their bingo board with leaves and shout 'bingo' is the winner! this travel size game is for 2 - 4 players and suitable for children aged 3-6 years. 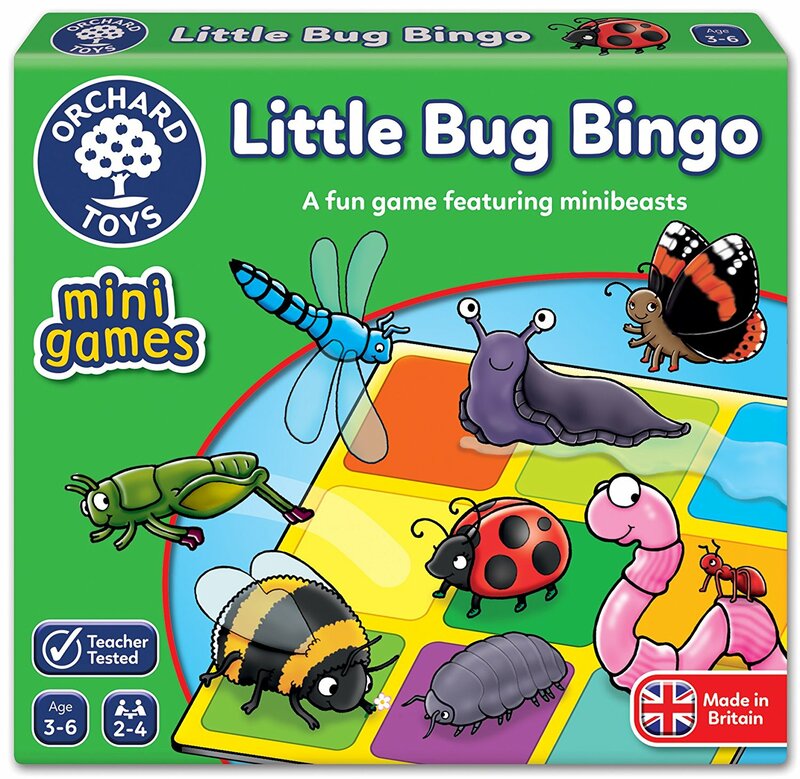 Perfect for travel, at home or on the move, the mini games are Orchard Toys' smallest games in a compact and portable size.